There are currently no upcoming soccer listings scheduled on Ran Live. 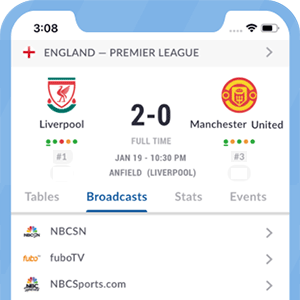 Are we missing any soccer listings for Ran Live? If so, please let us know. ran is the brand name under which the German TV channel Sat.1 and Kabel 1 broadcast their sports programs.